Looking for some engaging Cinco de Mayo activities for Spanish class? Here are my top 7 favorite activities to help you plan an exciting day and to ensure that your students learn the real history behind the celebration. 1. Join the Cinco de Mayo Spanish Teacher Pre-Party! I'm starting the celebration early with a 2 Week Cinco de Mayo Countdown from April 19th-May 5th on my Facebook page. 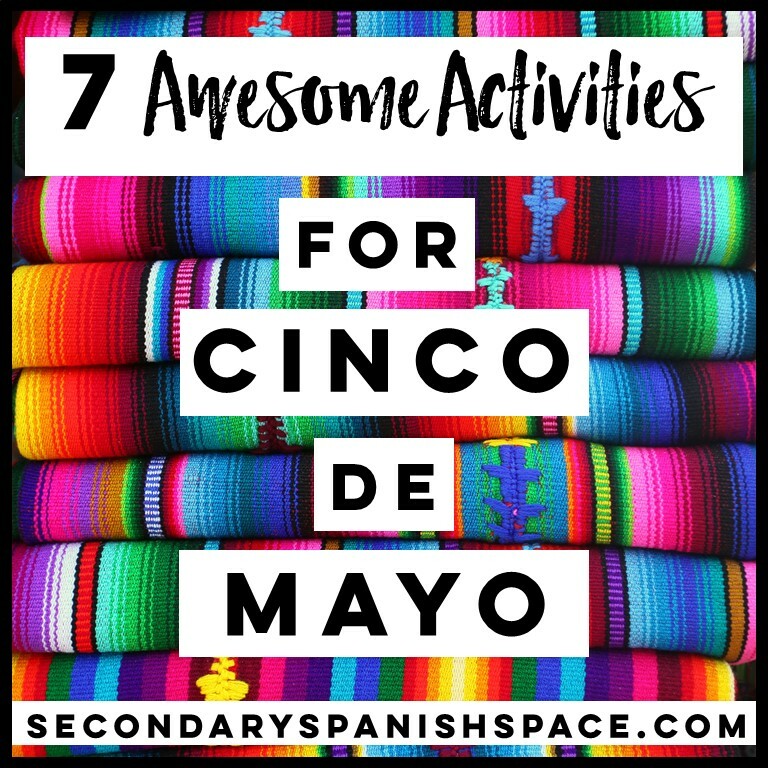 Each day I'll be sharing a new tip for celebrating Cinco de Mayo in Spanish class (printable, recipes, video clips, etc). Comment on the posts to be entered in a drawing for 1 of 3 copies of my Cinco de Mayo PPT Bundle. 2. Put up some colorful Cinco de Mayo decorations. Make your own papel picado banner or even better, have the kids make them for extra credit. 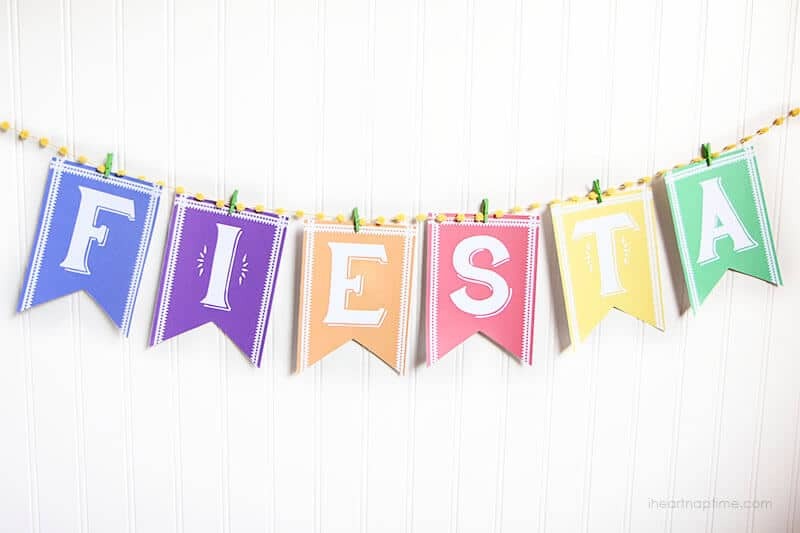 Here's a free printable fiesta banner from iheartnaptime.net. 3. Start class with a Cinco de Mayo joke. 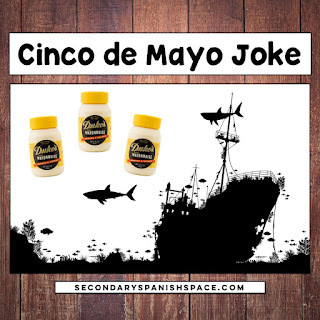 Start Cinco de Mayo with a joke about a boat full of mayonnaise that sinks. You'll be surprised how many of your students believe this. The ship hit an iceberg and sank and the cargo was forever lost. The people of Mexico, who were crazy about mayonnaise and were eagerly awaiting its delivery, were disconsolate at the loss. Their anguish was so great, that they declared a National Day of Mourning which they still observe to this day. The National Day of Mourning occurs each year on May 5th and is known, of course as Sinko de Mayo. 3. 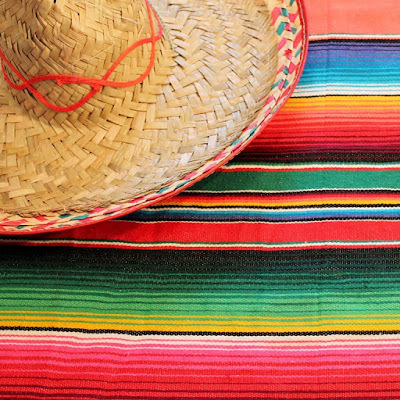 Hand out this free Cinco de Mayo worksheet in Spanish or English. Your students fill out the important info. while they watch videos explaining the holiday. It's in my Free Resource Library. Sign up and then check your email for the password and access link. 4. Watch Cinco de Mayo videos, including one of a mariachi flash mob. Why? Just because it's fun! And it showcases how important mariachi bands are to Mexican culture, plus your band students will think this is THE BEST! You could even have this showing as your students walk into class. Show some videos explaining the history of Cinco de Mayo and debunking classic Cinco de Mayo myths. The guy in the second video is a little quirky and his accent for the Spanish words he says is not so good, but the information that he presents is short and sweet - perfect for your students. 5. 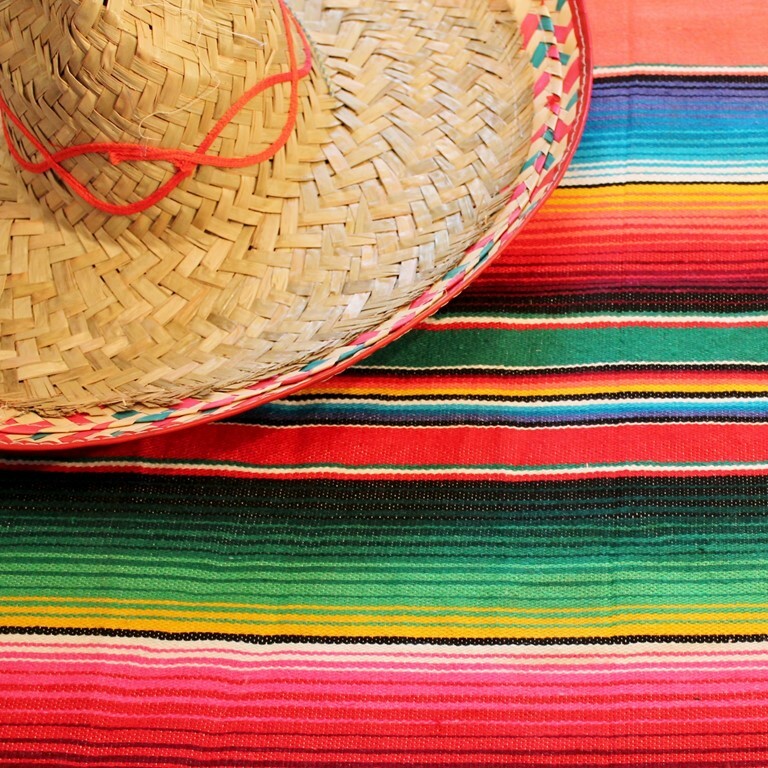 Make some simple Cinco de Mayo crafts and give the instructions all in Spanish. Being able to follow simple instructions in Spanish is a great language learning skill. You'll be amazed how much more your students pay attention when they're working on a craft and must follow the steps. Here are a few of my favorites (mostly because they're pretty simple, inexpensive and look pretty. 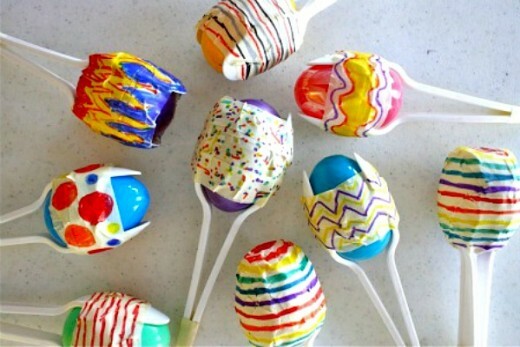 Great use for all those left-over Easter eggs! Have your students bring empty toilet paper rolls ahead of time. 6. Have students bring in authentic Hispanic food. Before eating, each group or student talks about which ingredients they used and how they made it in Spanish. 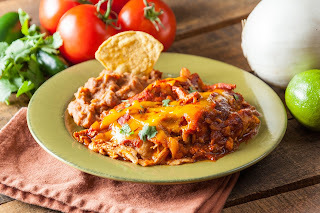 Check out these 23 Cinco de Mayo recipe ideas from DIYprojects.com. Phew! Lots of good tips, right? ** Remember to join the Free Resource Library so you can download the Cinco de Mayo worksheets. ** After that, hop on over to our FB Cinco de Mayo Pre-Party! Wishing you a spicy Cinco de Mayo in your Spanish classes!